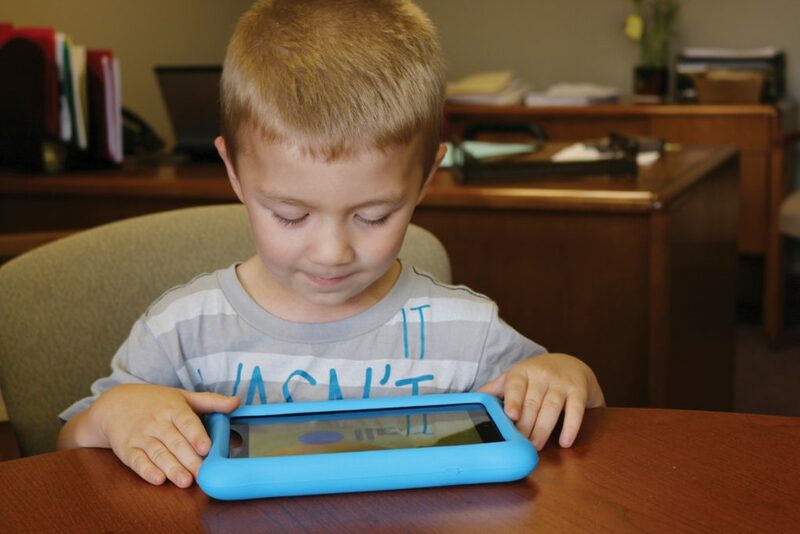 Community leaders have embarked on a project to provide every 3- and 4-year-old in Clermont County with a free educational tablet. The effort is an outgrowth of 2015’s Agenda for the Future project. “This is more than about providing children with tablets. It’s about getting the whole community involved in the future of our children. We have to do a better job with educating our really young children at the time they are most ready to learn,” said John Melvin, KLiCWow project leader. KLiCWow stands for Kids Learn Early in Clermont Wow! It is believed to be among the first projects of its kind in the U.S. The project is operating under the Clermont Chamber of Commerce Foundation, with partner organizations such as the Clermont County Public Library, Clermont Chamber of Commerce, Clermont County Educational Service Center, Child Focus and YWCA. “It is evident that early literacy and technology skills are critical to providing children a strong foundation during the preschool years on which they can build successful futures,” said Jeff Weir, superintendent at Clermont County Educational Service Center, another KLiCWow team member. “We want to ensure every child has a well-rounded lifestyle, not just a tablet, so we’re working to give each child a pouch full of developmentally appropriate books, toys, passes to outdoor activities and more, but we can’t do it without the help of the community,” Melvin said. At this time, monetary donations are the main focus of the project. “If everyone in Clermont County donates just $2, then every single 3- and 4-year-old in the county will have a tablet. For those who can do a bit more, $100 will completely provide for one Clermont child,” said Melvin.